The curatorial team are pleased to announce the following participants have been selected for the next edition of LIAF: João Pedro Vale & Nuno Alexandre Ferreira; Futurefarmers (Amy Franceschini and Lode Vranken); Signe Lidén; Trygve Luktvasslimo; Susanne Christensen; Tricia Middleton; and Kateřina Šedá. More names will be announced soon. A selection of these participants will be involved in residency periods of between three to five months, producing a number of local productions and events on the Lofoten islands. 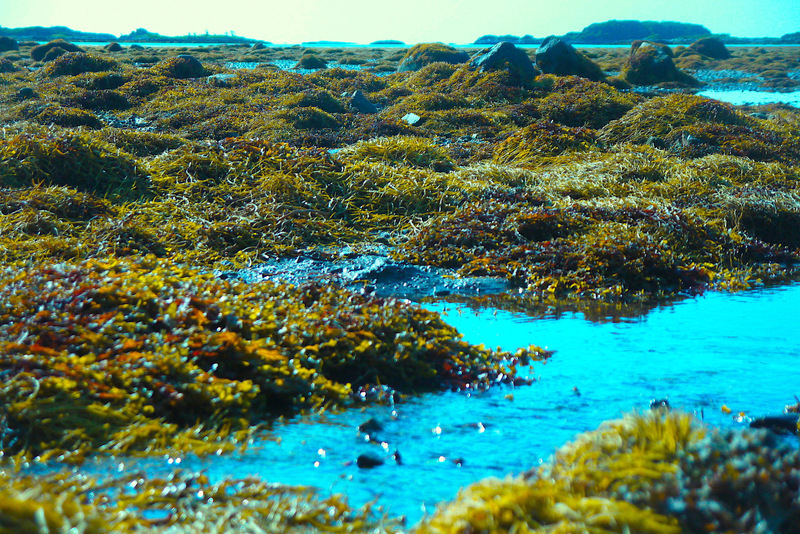 LIAF 2019 takes its inspiration from the multitude of inhabitants, materials, struggles, and processes that reside and take place within the extremely wide intertidal zone surrounding the Lofoten islands. Cyclical, turbulent, ruthless, and beautiful, LIAF opens up four conversations in dialogue with this environment, to observe the space diminishing and expanding, and following its liminal ebbs and flows. 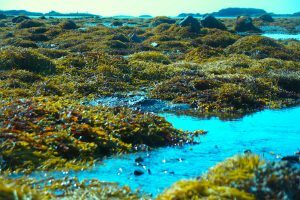 This intertidal zone is home to continual arrivals and departures, of disappearances and the reappeared. It is also a neighbour to one of the world’s most powerful maelstroms, the Moskenesstraumen, and it is as always at the mercy of the Moon. On the threshold of the land and the ocean, this intertidal zone exposes flotsam and scattered detritus, and it contains some of earth’s hardiest and most ancient plants and animals—organisms that are subject to the unpredictable forces of the weather, living things that routinely endure extreme fluctuations in temperature, salinity, oxygen levels, light, and space. Among them creeps the starfish—with an eye on each arm, a witness to several events at once. LIAF is now being realised along the shorelines of both the Western and Eastern regions of the Lofoten archipelago. Since October 2018, the biennale has been initiating a set of collaborations with several artists who will embark on a long-term engagement with the islands; and one of whom will undertake a LIAF residency in their own home. The curatorial “arms” of LIAF are both guiding and guided by these places, and by artistic ideas and processes, as the artists embed their respective work in the local settings. These engagements will shape a wider exhibition and public programme, running from 30 August until 29 September 2019. LIAF is composed of five arms: “From the horse’s mouth” is the arm that considers resilience, community, messages, and communication from human and other-than-human perspectives. “Thinking tide, sensing scale,” draws attention to (natural) phenomena and the apparatus through which events are sensed and measured. “Splash, stress & elasticity” is the arm that considers the high tides of human and non-human migration, seasonal tourism, competition, space, and cycles. “Maths, matter & body” observes the relationships and tensions between the human body, solid matter, algorithms, gravity, and statistics. The fifth, unnamed arm, is dedicated to the unspecified. The curatorial team of LIAF 2019 (Hilde Methi, Neal Cahoon, Karolin Tampere, and Torill Østby Haaland) are interested in the dynamic movements of the curatorial “arms” as processes of continual revision and responsive re-conceptualisation, as directions that frame and shift focus, and as methodologies that foster energy, proximity, and poetics throughout the whole of the festival. The “artists-in-residence” format—as part of, and in spite of the art biennale context—considers how this approach can provoke new affinities, knowledge, and empowering encounters that are invested in local agencies and place, and that connect to otherwise unreachable (local) communities, companions, and collaborators.